Going to Gen Con? 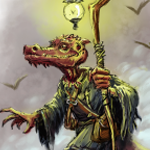 Join in at some Kobold Press events. Here’s our schedule. Event registration opens on May 15th, so you can prepare your wishlists ahead of time. If you find an event sold out, try dropping by the table. Some GMs can accommodate extra players! 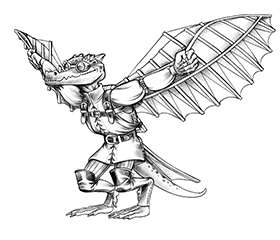 Our seminars can be popular, so register and please come see what our Kobolds have to say! We won’t have a booth this year, but we’ll see what we can do for next year! UPDATE: We added 3 Kobold book signings at the Paizo booth. Steve Winter signs from 11 to noon on Thursday, Wolfgang signs from 11 to noon on Friday, and BOTH Steve and Wolfgang sign from 11 to noon on Saturday. Signing Kobold Guides, Rise of Tiamat, and other books! Come say hi. Signing Dark*Matter, the new Kobold Guide, Hoard of the Dragon Queen, and other books! Signing the new Kobold Guide to Plots & Campaigns, Emerald Spire, Rise of the Runelords, Hoard of the Dragon Queen, and other books! Face monsters from the new Tome of Beasts in fantastic scenarios from the new Book of Lairs! Pregens provided—how far can you delve into these scenarios and defeat the evil within? On the Rothenian Plain, a dying old woman from a minor clan enlists the party to find her clan and lift the Kariv curse. Can you find the source and end the evil before it taints a new generation? Intrigue, time-warping artifacts, and the ruins of Thorn—all before lunch. Who opposes the characters as they delve into the tumbling shadows of the former Elvish Imperium? Metal screeches through the morning calm as the Puffing Bridge jams and the city is divided until it is restored. In one hour, the miners and merchants will throng the streets, a race against destruction! Most of the town’s warriors sailed out on raids and a town elder has gone missing while preparing for winter. With so many swords gone, searching has fallen to you. What awaits in the Trollheim woods? Learn the fate of the Gravebinder’s Daughter… why did she disappear? What happened to her? Can she be saved? Recovered? Or is she lost to the terrible appetites of the sands? Cultists of Nakresh have the city under their thumb. Explore the underbelly of Highgate, unravel its secrets, and dark personas. Infiltrate the cult and procure their most prized trophies or die trying. For twenty years, the King of Bears has defeated every challenger at his annual contest for his throne. Better known as Old Honey Paws, the crafty king devises new tests each year. Will you survive? I am very much looking forward to some Real Steel at GenCon! Wow! The Kobolds are going to be BUSY!